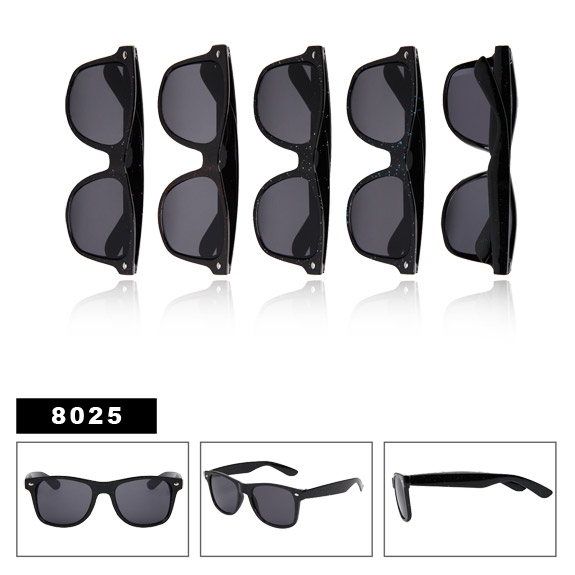 The summer's top selling style of sunglasses; California Classics with gloss black frames and paint drips in assorted colors. If you haven't done so yet, be sure to check out our full range of California Classics! (600pcs.) Package Deal-SPA8 (12pcs.) Cheap Wholesale Sunglasses Inspired by Dragon-17708 (12pcs.) Designer Eyewear - DE534 (12pcs.) Kids Sample Pack-SPK1.